We're doing something a little bit different for this week's app round up – we're taking a look at the best apps for your new iPhone 6 or iPhone 6 Plus! These apps take advantage of the new features iOS8 offers developers, including extensibility and Touch ID support. 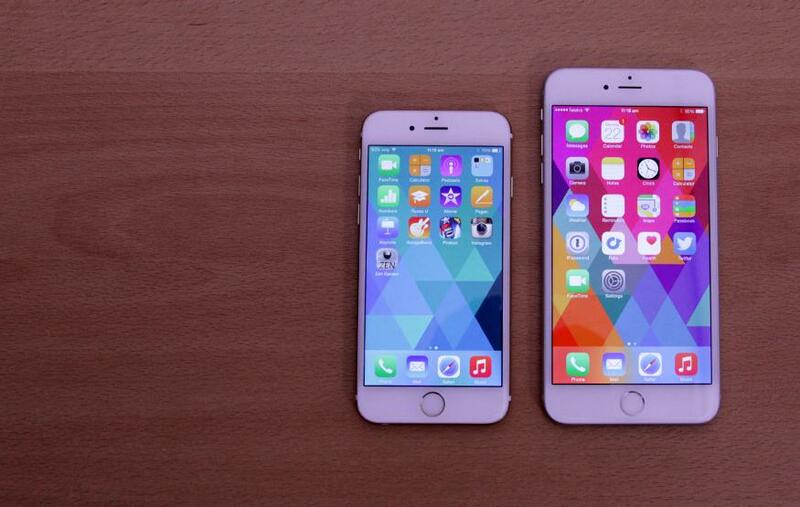 In fact, if you've upgrade to iOS8, most of these apps will work on your current iPhone too! With the release of iOS8, Apple has given developers complete access to iPhone cameras. As a result, we're starting to see some pretty powerful camera apps that give you much more control over your photos. Manual is one of the best so far and provides users with enhance control over shutter speed, ISO, white balance and focus. And to top it off, it looks great! 1Password is one of the best password managers available, and its iOS8 update has made it even better. The app now supports Touch ID authentication, making accessing your vault even easier, and also features an extension for Safari. This removes the need to leave your web browser to find a password. While 1Password is available for free, Pro features require an in-app purchase of $12.99. These include additional password categories and multiple vaults for sharing certain passwords with others. Swype is one of my favourite Android keyboards, so it's great to see Apple finally allow third party keyboards on iOS. For those who haven't used it before, Swype lets you glide your finger over letters to make a word, rather than typing each individual character. In general, I find Swype much faster than one-handed typing, but just a little bit slower than two-handed. It's certainly worth trying out! Minuum is certainly one of the most interesting third party keyboards you can get for iOS. Minuum shrinks the keyboard down to just one row, instead providing "hyper-predictive" typing. After the brief learning curve, typing genuinely is faster – and if there's a word Minuum struggles with or you need to enter a password, it can temporarily revert to full size. Zen Garden really isn't a game, but it's an impressive showcase of the new iPhones' technological prowess. The app places you in a virtual garden where you're able to play with a pond full of koi, summon thousands of butterflies or make trees go into bloom. There's only maybe 10 minutes worth of exploration, but the level of detail Zen Garden achieves is incredible. Paste+ is a Notification Center widget that provides you with shortcuts for your clipboard. If you've got text, a link or even an image copied, swiping down to the Notification Center will provide you with a plethora of actions you can perform with it, including putting it an Tweet, translating it or putting it an email.